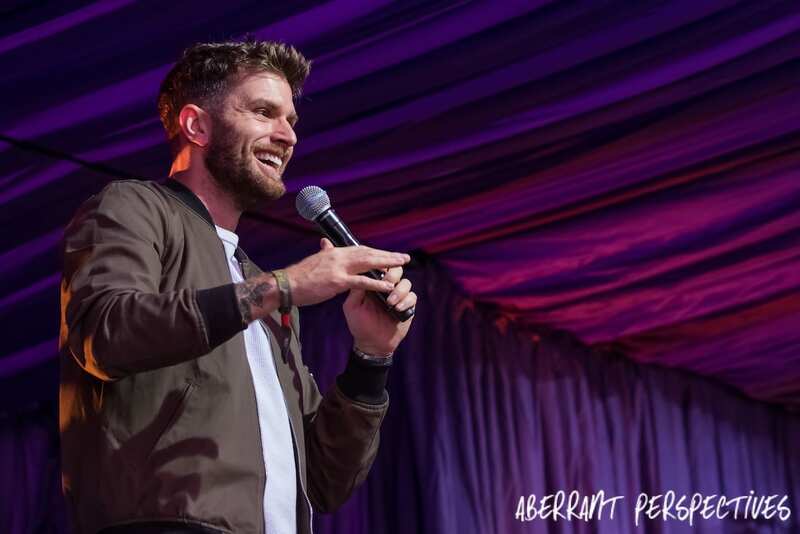 “I’m like ‘properly’ famous now!” Joel Dommett said excitedly as he greeted a packed out comedy tent at Latitude Festival on Saturday. 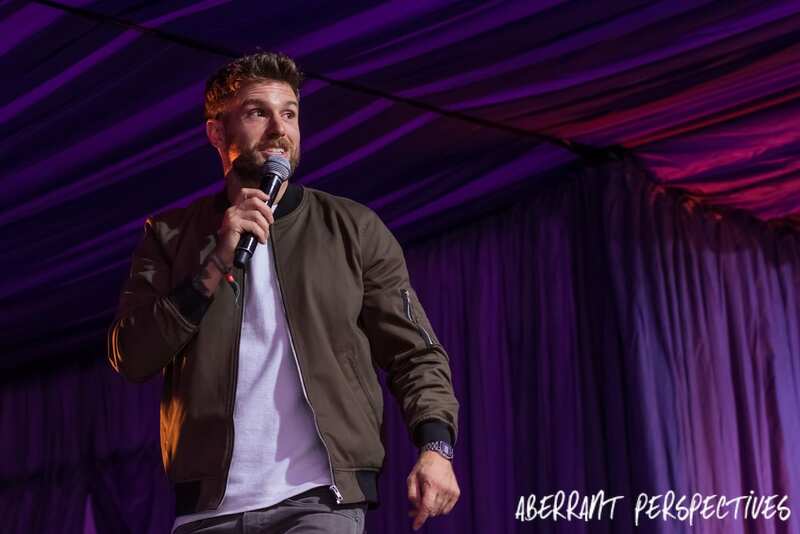 He’s gone from being a fairly well known circuit favourite with a few TV shows under his belt; to drawing an audience beyond the tent’s capacity thanks to a memorable appearance on “I’m a Celebrity Get Me Out of Here”. There’s a lot more to Joel than his boy band worthy good looks and disarming smile. He has confidence, quit wit, a fascinating story telling ability and an understated intelligence. From that description you’d think he was perfect and even too good to be true. 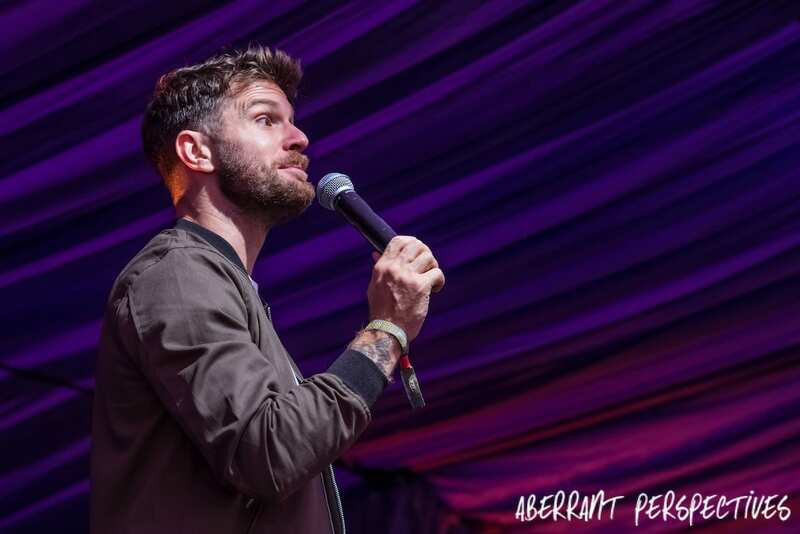 However on stage at the Latitude Festival comedy tent he reveals he’s far from ‘perfect’. 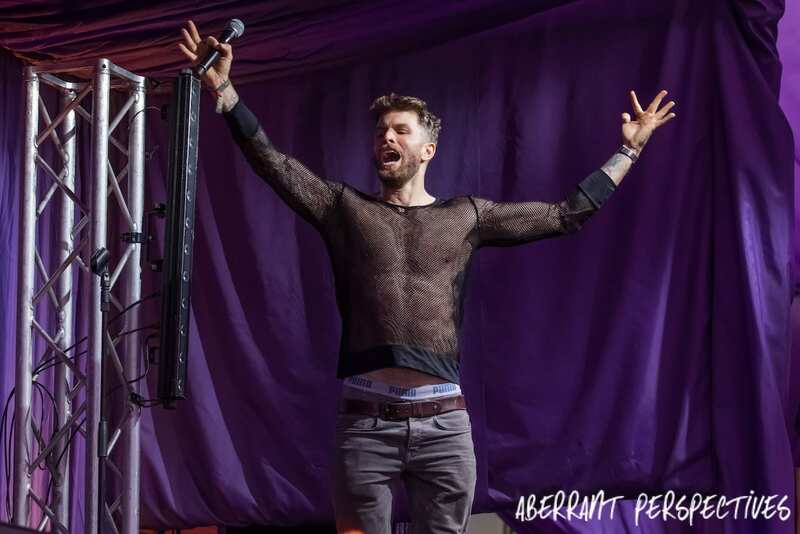 Throughout the performance Joel is spontaneous, excitable and very giggly. Especial throughout the awkward stories. 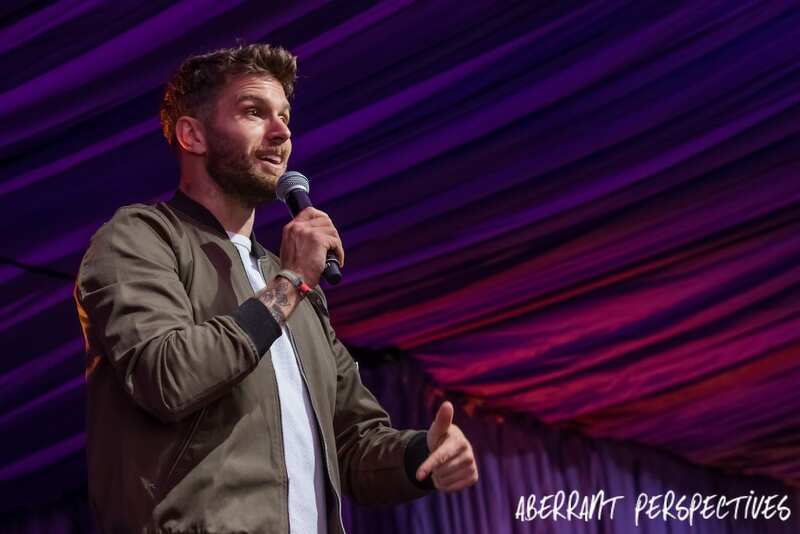 The theme throughout his set is lies, openly admitting to the audience that “comedians lie, get with the programme”. His stories were as flamboyant as his performance; but the audience forgive him because of his delivery of the tales and of course, his devilish smile. 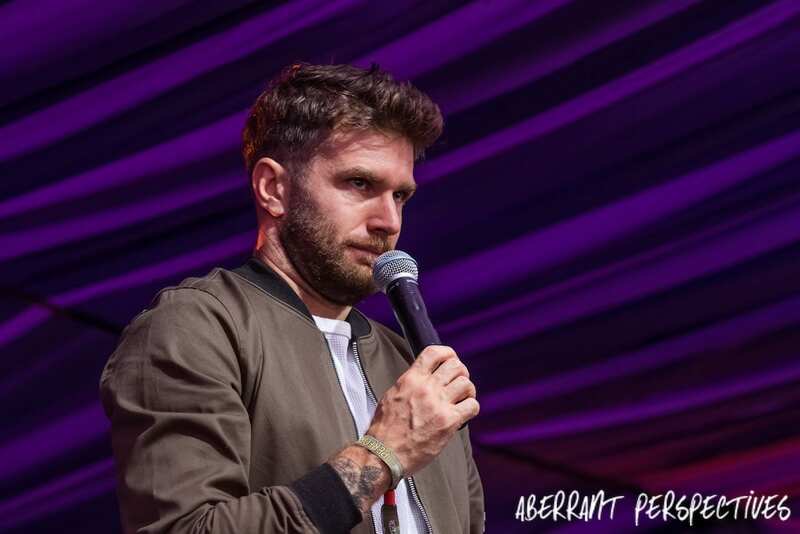 After a smart and equally edgy joke about how to write correctly, he talked about lying to friends and how he was inevitably caught out. Joel nervously laughed throughout his cleverly crafted story delivered with episodes of spontaneous rants. Unbeknownst to the audience, Joel’s intelligence shone in the background of this story. He successfully managed to link it to all his other stories in the show. With lies being the theme of this show it was somewhat poignant that he addressed the worst lie he ever been the victim of. He was catfished, which unfortunately brought him straight into the lime light of the national news, during his time on ITV’s “I’m a Celebrity Get Me Out of Here”. He started out by telling the tales of his failed and even non-starter relationships. 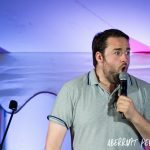 Animatedly he performed certain actions committed during these fails and the audience could not contain their laughter. In his self deprecating way he justifiably ranted about the ‘long game’ he was subjected to. Which later resulted in what should have been a humiliating headline in the news, however Joel owned it. He openly admitted he was mortified when the reality of what happened hit him. He told audiences of how stupid he had been, including the angle in which he took the video from, shouting out “nobody takes a selfie from that angle, especially with a beanie on”. The audience were howling with laughter at Joel’s delivery of his nightmare. His own laughter, animated delivery and face palm inducing honesty, therapeutically gained him the audience reaction he deserved for owning such a terrible ordeal. At times his frustration was clear about what happened. It was mainly at himself for believing the lies. He now realises how convenient it was that they “had so much in common”, which he painstakingly shared with the audience. Building up to his annoyance about the idea that they liked the same Christmas carols, which, of course, he was eager to perform with music. Music was played in various points of Joel’s show. He also brought a confetti canon and gave an audience member the remote control. This resulted in the funniest moment, which the Joel had impressively predicted. Nostalgically he talked about a band he was in with the friend he lied to. Telling the audience his job and TV fame phenomena left him isolated, again drawing them into another clever story. He recalled phoning the friend he lied to, with an apology. With a twist in his tale, he reminded them to “not tell lies because they always come round to bite you”. At which point the canon was fired and even Joel couldn’t contain his laughter at the timing. The audience rose to their feet cheering on Joel and his friend for their epic finale to his show. 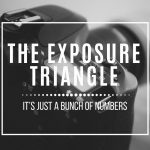 Just before he brought his childhood friend and band member on stage to relive their youth, the hysteria brought about by the mention of that happening, spurred on the ever spontaneous Joel. It resulted in an impromptu ‘crowd surf’. That failed brilliantly and Joel ended up running back to the stage somewhat embarrassed. The lies Joel told stories about were intertwined within each other and came round nicely to end as he began. The friend he told lies to in the beginning of his show joined him on stage for “one final performance”. 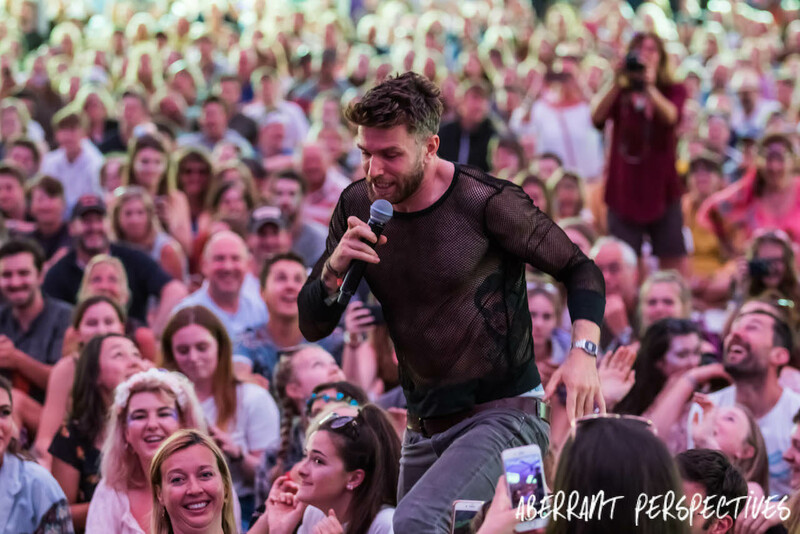 The audience reacted to this in the same way that fans of a boy band would do when their favourite band entered the stage. The boyband hysteria suited Joel’s appearance, his reaction was to own it like he was their god. 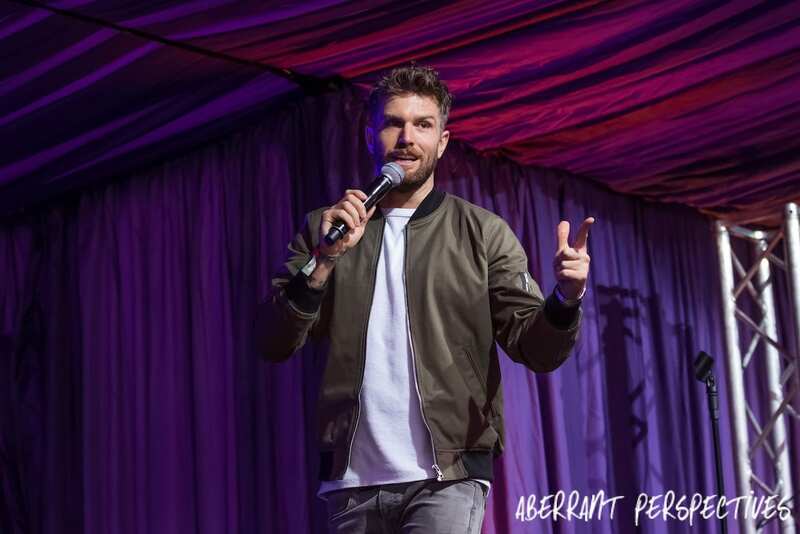 However despite his appearance and somewhat stupid life choices, this show brought to light the understated intelligence within Joel Dommett. 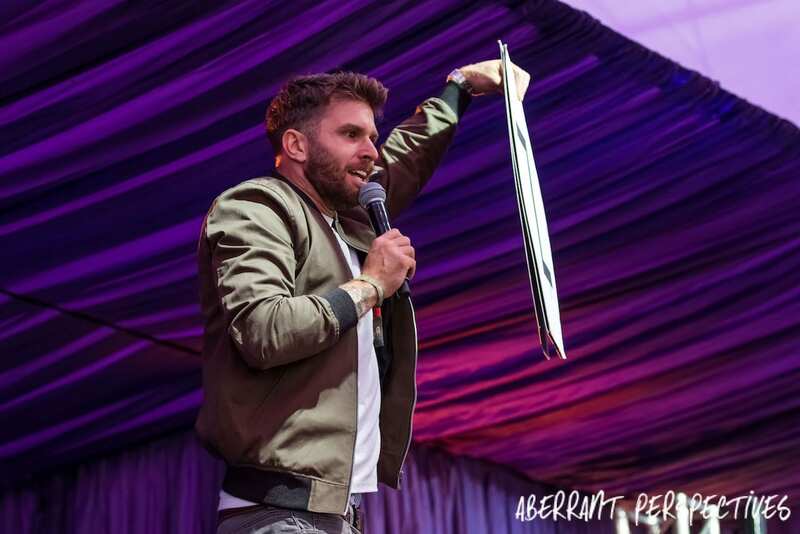 For more information about where you can see Joel on the next part of his tour “Joel Dommet Live”, go to his website www.joeldommett.com. 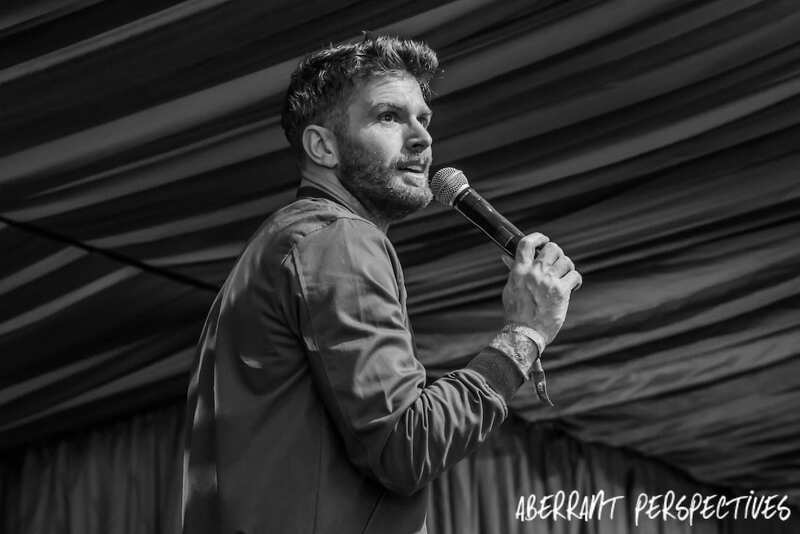 You can also keep up to date with Joel’s latest antics by following him on Twitter, liking his page on Facebook and you can also follow him on Instagram.